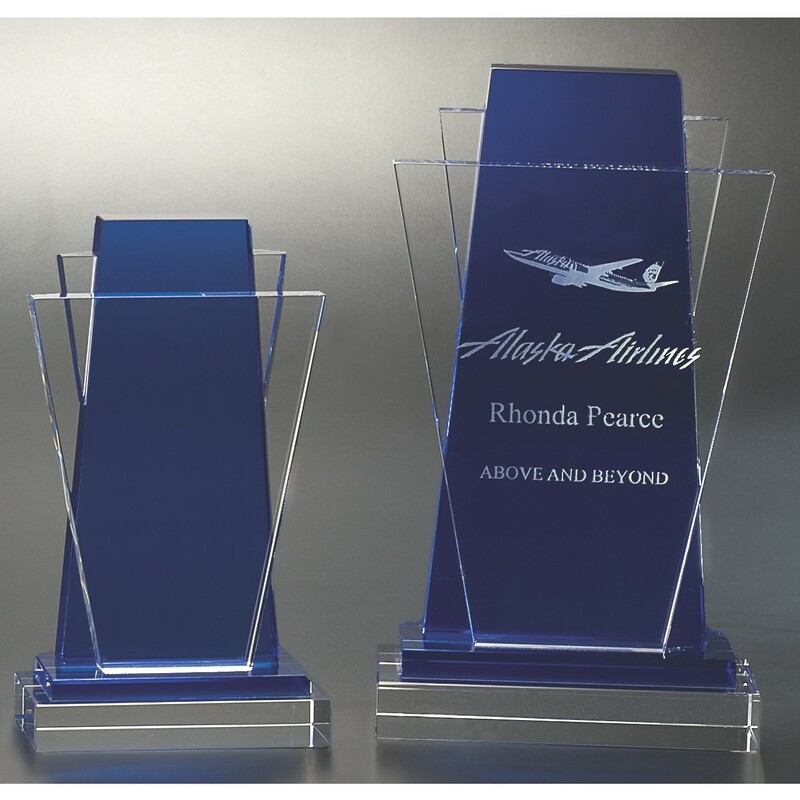 The Avant-Garde Crystal Award makes a stately statement with beautiful blue and clear crystal fans. 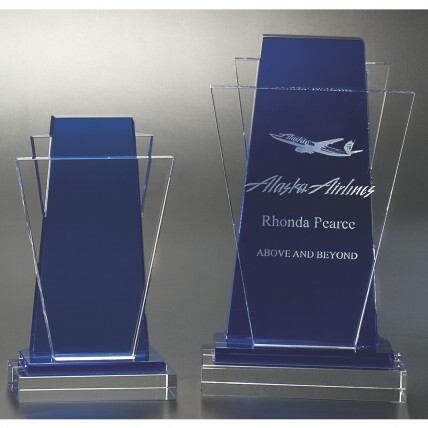 This award is available in two sizes, with your personalized message etched on the face. Present this classy crystal trophy at your next corporate event. Comes with a free gift box!